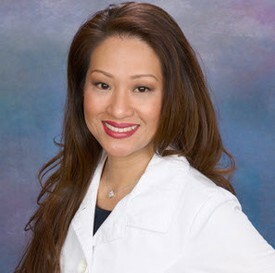 Dr. Sheila Sales (formerly Dr. Sheila Mercado) has been providing dental care in Palm Springs and the Coachella Valley since 2003. She began her practice in the Los Angeles area, but responded to a need for quality dental care in the Coachella Valley. Dr. Sales is a member of the American Dental Association, the California Dental Association, and the Tri-County Dental Society. She has been named a Top Dentist by “Palm Springs Life” magazine. Dr. Sales takes pride in providing the highest level of quality dental care to her patients. Her office is equipped with the latest advances in dental equipment and software. In addition to being on the leading edge of technology, Dr. Sales ensures that her office is as sanitary as possible for her patients’ health and comfort. For example, her office uses only distilled water, going above and beyond the requirements of the American Dental Association. Dr. Sales built her practice exclusively through referrals by satisfied patients. She is known for her “gentle touch” that puts even the most anxious patients at ease. She communicates with her patients on a personal as well as a professional level. Dr. Sales’ goal is to provide her patients with the best dental care, so that they can achieve the highest degree of dental health. She also understands that a person’s smile is directly affects one’s self-confidence, self-esteem, and happiness. She works with her patients to achieve the mutual goal of excellent oral health and a great smile.